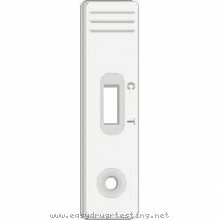 Detox products: Urine Drug Test Cassette for BZD (Valium). Pass drug tests, passing all drug test. The one-step BZD/Valium (Benzodiazepines)urine test is a simple one step immunochromatographic assay for the rapid, qualitative detection of BZD(Benzodiazepines) and its metabolites such as Oxazepam, Chlordiazepoxide, and some other benzodiazepines in urine. The cutoff of the test is 300 ng/ml of BZD. It is the same as the SAMHSA recommended assay cutoff.